Speedfactor has been supplying and installing Darton sleeves for well over a decade. 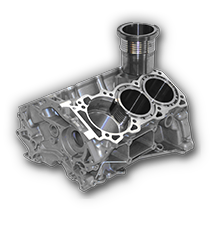 Many alloy block applications requiring larger displacement capacities simply do not have the structure to deal with increases in bore size. Dartons revolutionary MID sleeves system (modular integrated deck) wet liner offers a unique liner replacement for some open deck factory blocks, enabling them to be converted to a near closed deck application. 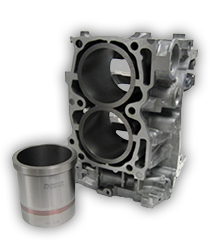 Most commonly used in Honda B series engines, this enables use of bore sizes up to 86mm max although we typically recommend 84 to 85mm applications for longevity. Typically all sleeves supplied by Darton are ductile iron which is a cast ferrous alloy. Above applications are Dry sleeves or Mid sleeves. Check with us for the application. 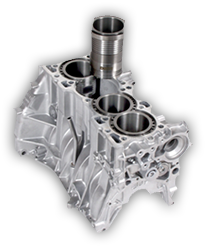 Check with us for more info and product applications if you're considering building a strong sleeved engine block.